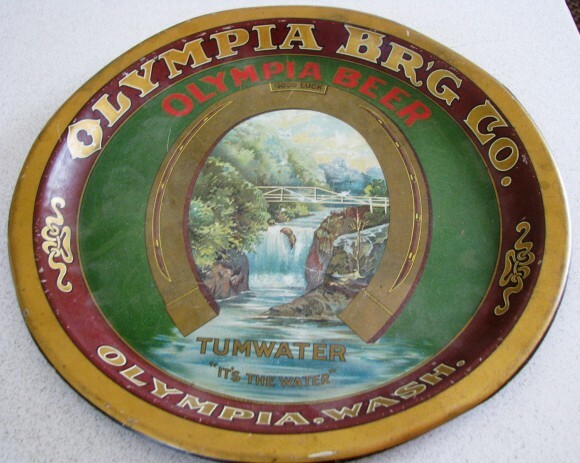 Serving Tray for Olympia Beer from The Olympia Brewing Company out of Olympia, Washington. In the center is a waterfall surrounded by a horseshoe. “Tumwater, It’s The Water” is stated along the bottom.